The energy in the room was electric as the crowd cheered in celebration, concluding another phenomenal year at our Employee Resource Group (ERG) Conference. What’s an ERG, you ask? Trust me, you’re not alone in your ERG confusion. Five years ago, I wasn’t too familiar with the acronym either. After moving to Dallas, my older sister came to town. I thought she was there to visit her baby sister, but the real reason was to attend an AT&T event she raved about – the “ERG conference.” She explained to me how every year AT&T and industry leaders celebrate diversity and inclusion within their growing work family. And she was right to be excited – my experience at this year’s event was incredible. AT&T Communications CEO John Donovan was our first speaker and talked about what makes AT&T a great place to work. "The biggest advantage we have is our culture!" And you can really see that he’s right – just look at the growing participation of the ERG conferences year after year. His speech really set the tone for the conference’s overarching theme of diversity and inclusion. Every year of the ERG conferences offers a unique twist with insightful tidbits from our leadership. You never know who you’ll connect with. AT&T Business CEO Thaddeus Arroyo challenged us to redefine our story by taking risks, becoming life-long learners and pursuing discomfort. And it was amazing to see AT&T Chairman and CEO Randall Stephenson continued the important conversation he started last year by inviting retired Dallas Police Chief David Brown, a respected community leader and police officer, to share his experience as a black man in America. And Walgreens Chief Diversity Officer Steve Pemberton’s story served as a reminder that your past does not define your future – and that you can choose possibilities over circumstances. We also had the opportunity to participate in a KaBOOM day of service in which ERG attendees built a playground for inner-city youth in Dallas. This is a great example of the culture that’s created within our ERGs and shows how our different programs and initiatives can make a real difference in the community. By the end of the event, I left the 2017 AT&T ERG conference feeling honored to work for an awesome company. 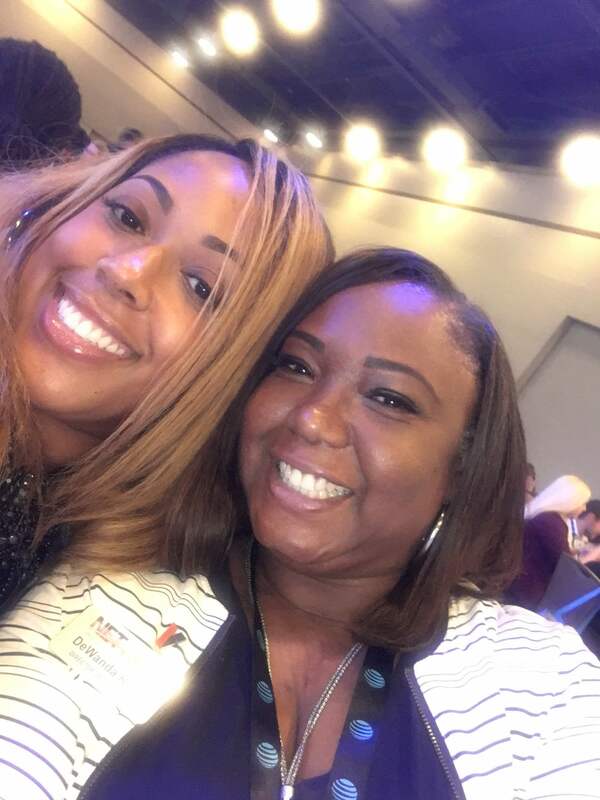 I felt incredibly empowered by the innovative thinking and personal testimonies that were shared and I’m inspired to redefine the role I play in this #LifeAtATT. And, of course, a huge thank-you to the ERG planning committee, keynote speakers and panelists who did a superb job highlighting why it’s important to diversify your way of thinking, be intentional with your interactions and have conversations with people who look, speak and think differently than you. It really does make us stronger.